Weighing in on a decades-old debate, a powerful interest group has announced that running is harmful. 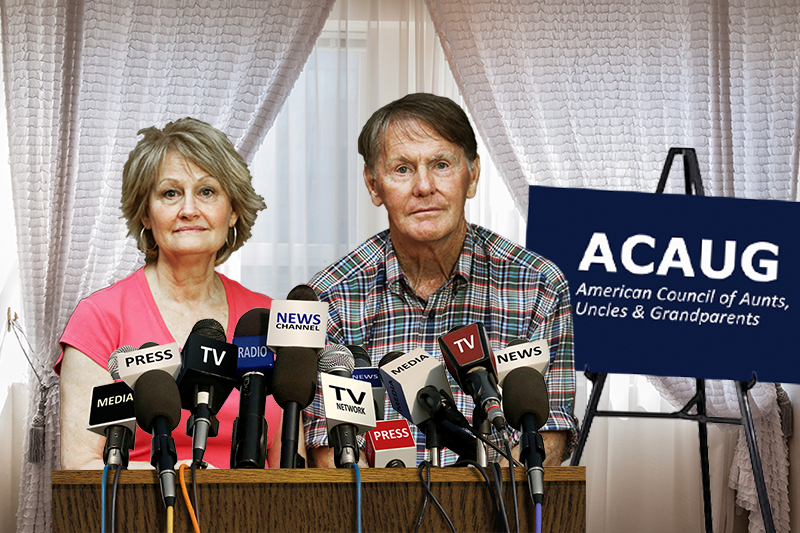 The American Council of Aunts, Uncles & Grandparents, an association representing the nation’s aged relatives, made the announcement yesterday. “After carefully considering all available evidence, we have concluded that running is bad for you,” said Owen Lars, an ACAUG spokesman, at a news conference at the group’s Twin Suns, Arizona, headquarters. “It’ll ruin your knees,” added Beru Lars, ACAUG’s president and Owen Lars’ wife, leaning in close to a cluster of microphones. Aunts, uncles, grandparents, and other older Americans for years have warned their younger relations that running—or “jogging,” as they often call it—is bad for them. This statement makes it official, ACAUG said, putting to rest any lingering doubts. Instead of running, the ACAUG statement recommends stationary cycling or jumping jacks.